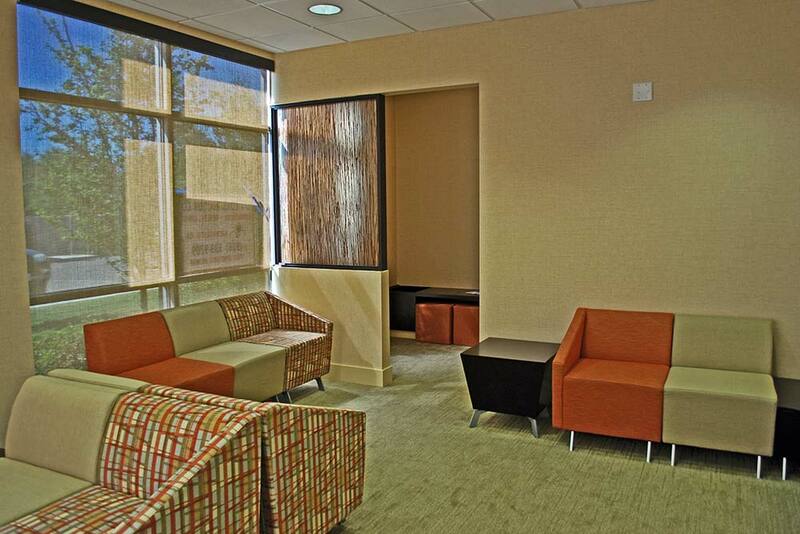 To modernize the center and create a welcoming environment, we updated the lobby and reception areas with warm tones and eye-catching textures. The color palette carried through to the conference room, guest seating in exam rooms, and custom cushions designed for the built-in casework. The outcome was an inviting and up-to-date facility that instills a sense of tranquility from the moment you walk in the door.